The Southwestern Petroleum Product Line, marketed under the brand name “SWEPCO”, includes a wide range of products for the waterproofing, maintenance and protection of industrial, commercial and institutional buildings and property. We do not market our products for residential use and do not recommend them for this market. 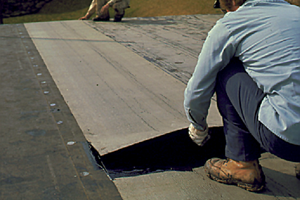 The largest portion of our product line…and the segment of the line the majority of our associates devote most of their energies to…consists of protective coatings, primers, sealers, reinforcing membranes and patching materials designed for the maintenance and replacement of commercial roofs. Our roofing products are supplemented with a broad range of high-performance products designed for maintenance of floors, walls, metal and pavement. Regardless of the product, Southwestern’s marketing philosophy is based upon the fact that maintenance of existing industrial, commercial and institutional property with high quality maintenance materials is more cost effective than neglect and eventual replacement. This message is well received in the marketplace and is one of the reasons for our continuing growth. 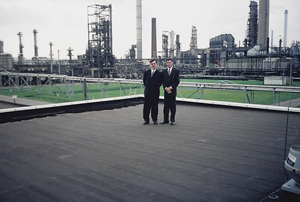 Southwestern Petroleum Corporation has been a pioneer, a leader in the roofing materials industry for decades. We, along with a handful of other far-sighted companies, developed what today is known as “cold process” roofing technology. SWEPCO’s cold process roofing products are safer and easier to apply because they do not require the smoking hot tar kettles and large work crews that are the conventional roofing solution in many markets. And they are safer than other new technologies that require propane torches or exotic, highly volatile adhesives and solvents for application. 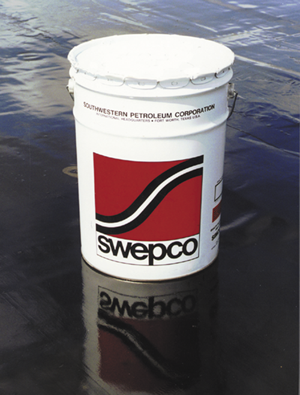 Most SWEPCO roof maintenance products are simply poured out of the containers they are shipped in and brushed smooth. Simplicity of application lowers labor costs and even makes it feasible for Customers with their own maintenance personnel to install SWEPCO Products themselves at significant savings. Of course, there is much more to a quality roof than application of a single product. But SWEPCO makes total roof care easy with the “system” concept. 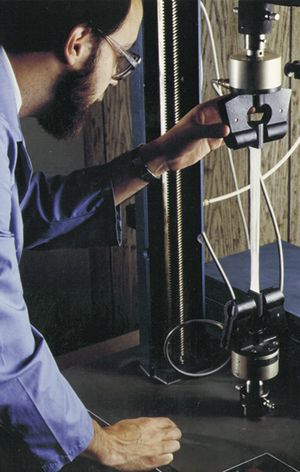 In fact, we were the first company in the United States to introduce roof maintenance systems 45 years ago. The “system” approach is simply a way to group SWEPCO Products together into a total roofing solution, based upon the needs of the particular roof. And it is successful because it is what the Customer wants. He doesn’t want a product. He wants a solution to his problem. The “system” approach to solving Customer problems is one of the important concepts that will seperate you from your competition. But SWEPCO’s high performance roofing line is broader than just the maintenance market. A great many roofs are too deteriorated to be repaired and maintained. Some have to be replaced. And, of course, there are new buildings being built all the time that need new roofs. SWEPCO has cost-effective answers for the reroofing and new roof markets as well…a line of new and replacement roof systems designed to reduce the long term costs of roof ownership…designed with durability and low cost maintenance in mind. The wide range of system solutions you have to Customer needs is another important concept that separates you from competitors who have only one answer. SWEPCO Products & Systems enjoy wide Customer acceptance because they deliver the benefits businessmen are looking for…energy saving reflective coatings, environmentally friendly formulations, reduced maintenance costs, reduced costs of application, long term waterproofing protection and freedom from problems. You’ll find you have an important edge in the marketplace because you have a variety of solutions to Customer problems. You won’t be bound to just one solution like much of your competition is. High performance products don’t just happen. It takes a major commitment to produce the highest quality products…a commitment that starts at the top and spreads throughout the entire organization. Southwestern has that commitment. SWEPCO Products are made with the very finest ingredients, the very best modern technology can supply. We then process those ingredients according to our own proprietary formulations with our own staff in our own plants with our own quality assurance technicians verifying things every step of the way. We have total control and we use it to produce the finest products money can buy. Don’t confuse SWEPCO Products with the “do-it-yourself” grade products you will find on the shelves of local handyman stores. SWEPCO Products are premium quality commercial and industrial-grade, long life products used in fully engineered and guaranteed systems. Businessmen understand that much of the cost of commercial and industrial maintenance is spent in the labor to install them. For this reason, they are willing to spend a little more for a quality product that will last longer and result in lower long term costs. Our commitment to making nothing but the highest quality products is a commitment that has served us well through the years and one we will not break. SWEPCO Products are products you’ll be proud to sell because they are simply the best.